"They Don't build em' like they used to". Well, we do! Back by popular demand, the Classic Power Bench re-emerges as the foundation of the fitness industry. 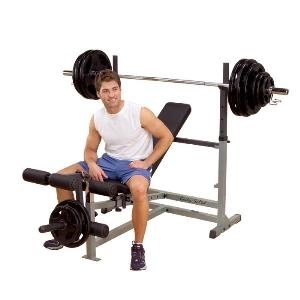 Price and function have been left intact on a bench that is adjustable from flat to a 90-degree shoulder press. Equipped with multi-position uprights that can be used as a Dip Station, you will appreciate the durability and ease-of-use of this authentic design. Ready to hold a variety of attachments such as the Leg Extension / Leg Curl Station, Preacher Curl Station or the Lat Pull Down and Seated Row Station, versatility is yours for years to come. Backed with a guarantee that will last as long as this bench was designed to be used - a Lifetime.